J.S. Bach’s ‘Passions’ have been said to employ the word with more than one meaning – as well as telling the story of Christ’s sacrifice, they are simultaneously a celebration of human feeling in the joy and suffering of man’s pilgrimage on earth. 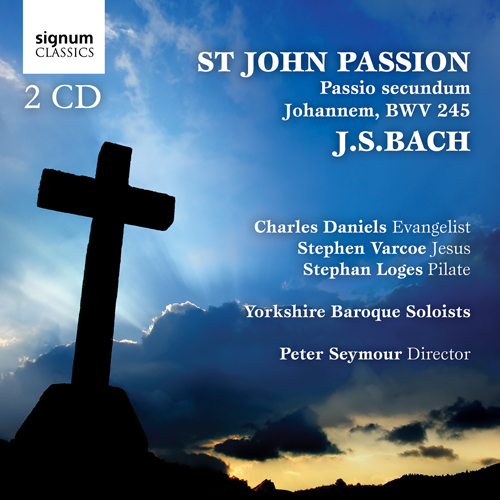 The expert early music chamber orchestra Yorkshire Baroque Soloists bring all of these feelings to life in a dramatic and resonant performance of Bach’s Passio Secundum Johannem (St John Passion). Joined for this recording by the excellent Charles Daniels, Stephen Varcoe and Stephan Loges, the Yorkshire Baroque Soloists have been a leading light in the world of Early Music performance since their formation in 1973.